Designed and printed in Scriptura’s design studio, these flat cards feature a blue and green Fleur De Lis. 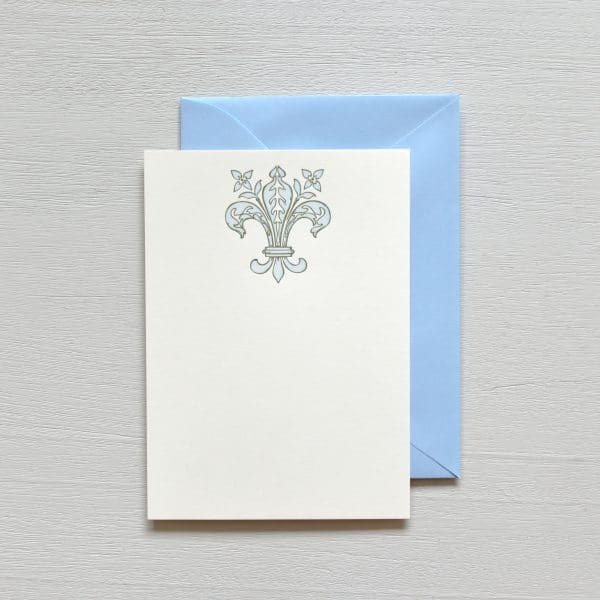 These cards are perfect for invitations, correspondence cards, and thank you notes. Ten cards with matching blue envelopes. Letterpress printed on an antique press.